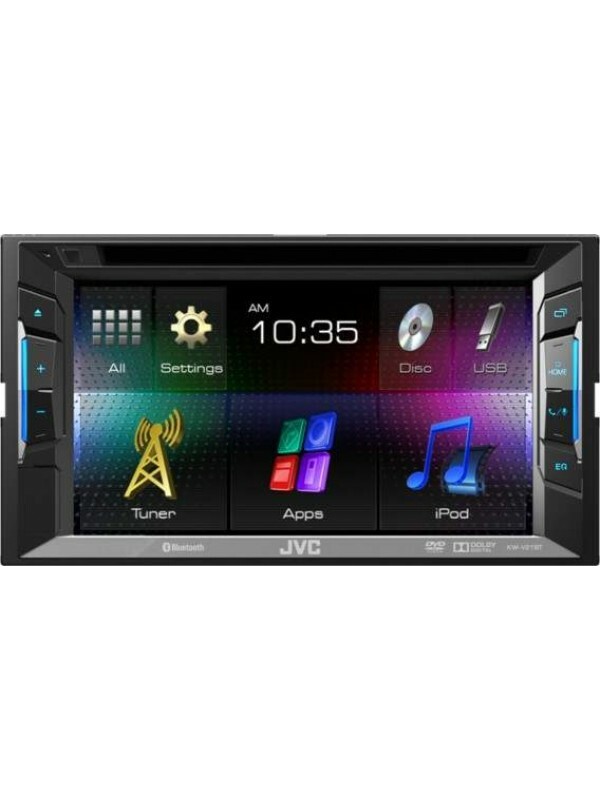 The JVC KW-V215DBT Double DIN DVD receiver features DAB+ a front USB port for easy, high-speed digital connection to iPhone/iPod devices, digital audio players, flash memory drives, and most mobile phones. 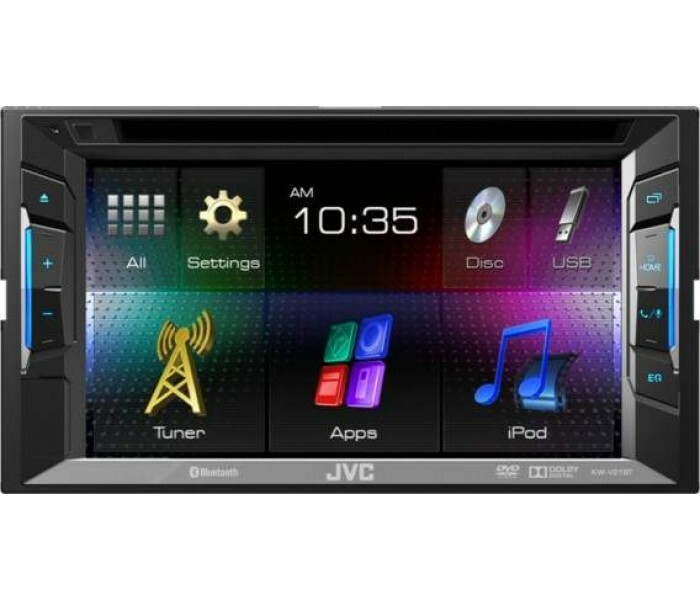 The included Bluetooth capability of the JVC KW-V215DBT allows you to enjoy the safety and convenience of hands-free calling and music streaming. 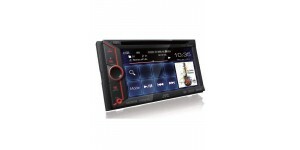 When a call comes in, use the stereo to mute the music and speak to your caller, without touching your mobile phone. 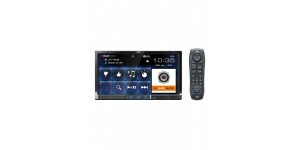 Music streaming lets you play the music from any Bluetooth audio device through the stereo. 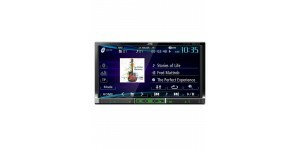 Combining easy to use, super-quick touch screen controls with a rotary control and discreet buttons makes this unit easy to use even on the move. 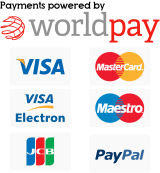 Superb A/V performance and the ablity to upload your own wallpaper images and a whole host of playback formats supported completes the picture. 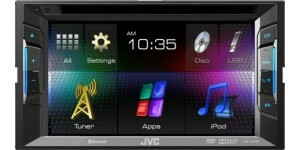 The JVC KW-V21BT Double DIN DVD receiver features a front US..